Imagine connecting with your parents, students, and donors through the power of a native mobile app. Imagine Catholic prayers, Catholic faith resources, and all of your school news and information packaged into one little button. Then, imagine this little button on the home screens of those parents' and students' phones and tablets. There will be no more long domain names or special links to remember. Everything your parents and students need is consolidated into one beautiful app button. Then, imagine sending a push notification to everyone who has the app. You'll soon wonder how you ever survived without one. Rotating images appearing on the home page slideshow. Slides can be touch enabled so that they link to other pages in the app. Messages sent by you directly to the user’s phone or tablet. Message pops up on user’s device no matter what application they are using. Notifications can also be linked to website pages or pages in the app. Push Notifications offer an unheard of means of communication. Easy and powerful back - end editor allows you to add, remove, edit, and re-order app pages. Make pages inactive until you need them again next year. Add sign up forms and link to existing online resources. Embed website pages to simplify your updating procedures. View usage statistics. The back-end Editor is entirely web browser based, which means you don't need any special software. Update from anywhere and anytime. Existing online resources can be embedded seamlessly into the app. Create an easy, one-stop launching point for parents, students, and teachers. Online Grades, Online Schedules, Lunch Menu, Tuition Payments, Donation links, Parent Organization Resources, College Preparation Resources can all be integrated with the app. A map page showing the exact location of your school. sports fields, or field trip locations. Users can push a button to activate GPS directions. They can also press a button to e-mail or call your school. Give your parishioners and members a whole bookshelf of prayers, resources, and faith formation tools. Best of all, all these "books" are branded with your church logo, colors, photos and contact information. Church members are going to use their phones and tablets for faith formation, they might as well do it under the umbrella of their local parish. Collect tuition payments right through the app. Use our super easy and simple one page tuition form or connect the app to your existing tuition payment system. Either way, the app makes it easy for parents to make tuition payments. Any of these included items may be removed per your request. Use your existing website form or our custom form to collect registrations and contacts. Upload MP3 files right to the app so users can re-listen to homilies or catch big speaker talks. The app also integrates beautifully with YouTube for showing off your video library. A fun digital counter to help you remember where you are when praying the Rosary. Great for anyone, but especially fun for teaching children how to pray the Rosary. Tired of remembering to take photos at events? Now everyone can help you document events by using the built in capture feature. Right from the app, users can snap a photo and email it to a staff member. This features makes it easy to build a school photo gallery. 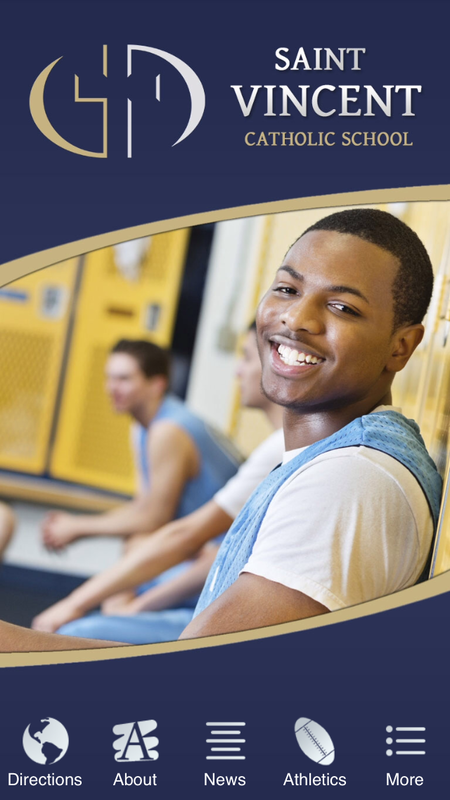 Show off your school's active life and ministry. Upload photos or automatically grab them from popular photo sharing sites. Upload music files for users to listen to while navigating the app. The Music feature is great for teaching new music, setting a prayerful mood, or promoting music created by your music ministry team. This feature can also be used to post and host your own podcasts or any audio file. Users can post prayer intentions to a community wall. Admin can monitor and delete posts. Can have a discussion wall for each class and organization if desired. Capture lectures and important reminders with the audio recorder. The Rewards features is a virtual punch card. Users present their phone to the group moderator, such as a Volunteer Coordinator, and the leader enters a secret code which “punches” the virtual punch card. Give out rewards when a user fills in his/her punch card to make this feature really fun and interactive. Unlimited cards can be created for various school activities. This is a real app branded and made for your school. 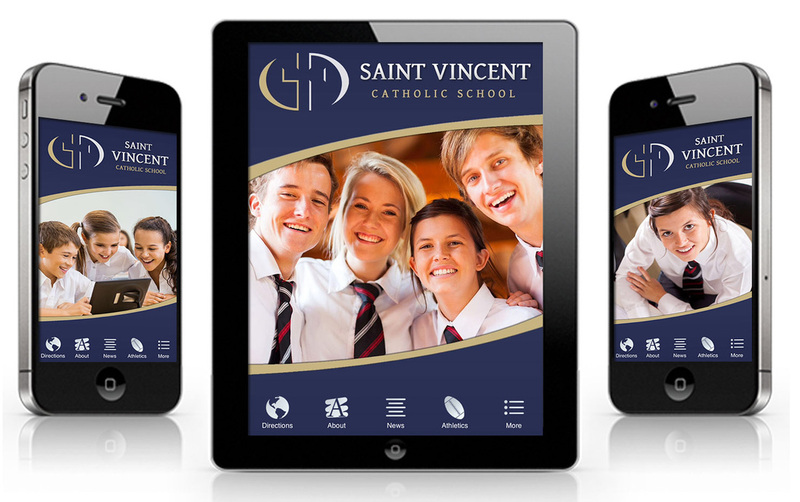 Your school name will appear in the App Store, on the App Icon, and in the app. 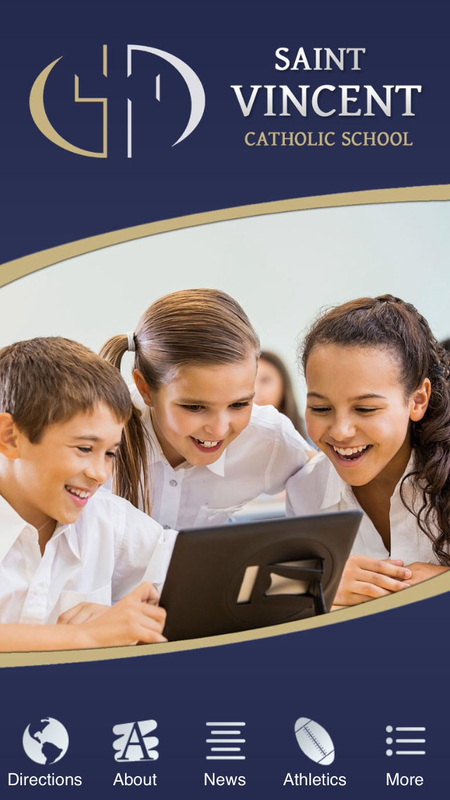 Your students and parents will download your app and be presented directly with your content. See all the features on a working app.